Group B/C several vacant posts of Stenographer. Staff Selection Commission (SSC) is advising to all the readers of the article to apply latest by final date after eligibilities. Intelligent and educated volunteers must visit the official website of SSC and deposit the error free form. In the next move candidates should start the preparation for Computer Based Examination/Skill Test. 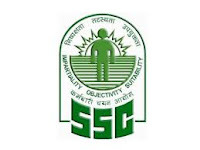 Individuals who will get placement in SSC; their salary will be as per latest pay commission. Complete information in association with way to apply correctly SSC Stenographer Recruitment is shown below by the team members of ejobhub for every applier. Dear candidates grab it as such opportunity does not come so frequently. Dear appliers Closing Date To Fill Online Application will be provided soon till then keep preparing for getting success in the exam. All the excited applicants are said to find advertisements for jobs in entire India anywhere using site that is ssconline.nic.in. To get new jobs of other organizations from our web portal stay tuned daily. All the best to each and every applicant for govt jobs’ news! Educational Records: To apply for given post, applicants must have 12th Standard from a recognized Board or University with good academic records for SSC Stenographer Grade C & D Recruitment. Age limits: Age of the appliers should not be less than 18 years and not more than 27 years. There will be some relaxation in the upper limit for the reserved aspirants. Application Fee: Contenders are required to pay the application fee of Rs. 100/- through SBI Challan / SBI Net banking or through credit/ debit cards of any Bank. There will be no application fee for Women candidates and candidates belonging to Scheduled Caste, Scheduled Tribe, and PWD. Selection Procedure: The organization will short-list some aspirants on basis of their performance in Computer Based Examination. Then short-listed individuals will be called for skill test. The Examination will comprise of a Computer Based Mode Examination followed by Skill Test in Stenography at 100 w.p.m. and 80 w.p.m. for Stenographer Grade-“C‟ &‟D‟ respectively. There will be total 200 questions of 200 questions and each question carry one mark. Question paper will be of Objective Multiple choice type. Go to “Stenographers (GRADE ‘C’ & ‘D’) Examination” and press “Hit Here to Apply” link. Now take hard copy of submitted form and keep it safe for future reference.